The Tatra Mountains have a special place in the hearts of Poles. Despite making up just a tiny part of the country, in the extreme south, most Poles regard the snowy peaks as somehow quintessentially Polish. Every year, millions of Poles travel south to breathe the mountain air, and many of them make for Kasprowy Wierch and its spectacular mountain cableway. Every Pole knows the Kasprowy Wierch cableway, and many have endured the three-hour queues that feed it at popular times. Constructed in 1936, the cableway from Kuźnice (part of Zakopane) to the top of Kasprowy Wierch is the oldest in Poland and one of the oldest in the world. In 2011, it emerged that the cableway, owned by the Polish Cableways Company (Polskie Koleje Linowe), a part of Polish Railways (PKP), was to be sold to a private investor. Few could have guessed the political maelstrom that would ensue, not just in the Tatras, but hundreds of kilometres away in parliament too. The controversy began in December 2007, when the cableway began running again after six months of renovation work. The 1930s-vintage system was thoroughly modernised, and equipped with new cable cars that doubled its passenger capacity. The new system was also much faster, reaching the top of Mt. Kasprowy in just 12 minutes instead of 20. Tourists and skiers were delighted, but ecologists protested that the enhanced system threatened the unique environment of the area by enabling more and more people to access it. They filed complaints with local courts and the European Commission. In response, the Tatra National Park decided to limit the number of people allowed on the cableway, but only in the summer season. At the same time, local businessmen were appealing to the Prime Minister to allow ski resorts in the area to expand, pointing out that the number of skiers in Poland had grown sevenfold in a decade to five million people. “If we don’t build a major skiing centre on Kasprowy Wierch, Poland will remain a skiing backwater,” said Andrzej Bachleda, Poland’s most successful alpine skier. “We can’t forget that the Tatra’s true residents are the animals, and not the people,” replied Paweł Skawiński, the director of the Tatra National Park. 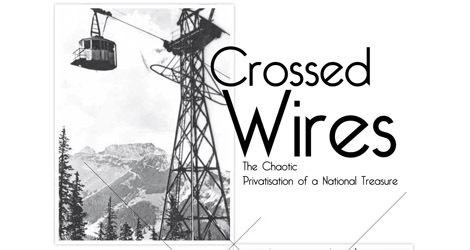 But the real problems began in the autumn of 2011, when the decision to privatise Polish Cableways became official. This meant not just the Kasprowy cableway, but similar facilities on Mt. Góra Parkowa in Krynica, Gubałówka and Butorowy Wierch in Zakopane, Palenica in Szczawnica, Żar in Międzybrodzie Żywieckie and Mosorny Groń in Zawoja, along with other properties and land. The management of the Tatra National Park were the first to react. Director Piotr Skawiński noted that the future owner of the cableway would have a difficult job, since the Tatra National Park would continue to own the station at the top of the mountain and the last cable support pillar before the top. “In my opinion, a public-private company would be a better choice for administering the facility, combining both business and the environmental aspect,” said Skawiński. Podhale residents were divided over the plan. Mayor of Zakopane, Janusz Majcher, saw the privatisation as an opportunity to establish a public-private partnership and hoped that an investor could be persuaded to cooperate with local government in the development of tourism. Some groups objected to the plan on the grounds that it would involve selling what they saw as important historical sites that belong to the nation. As petitions were being drawn up and signed in September 2011, local businesses were looking nervously over their shoulders at the Slovaks. With their well-equipped and modern resorts, the Slovak Tatras represent the fiercest competition for Podhale. 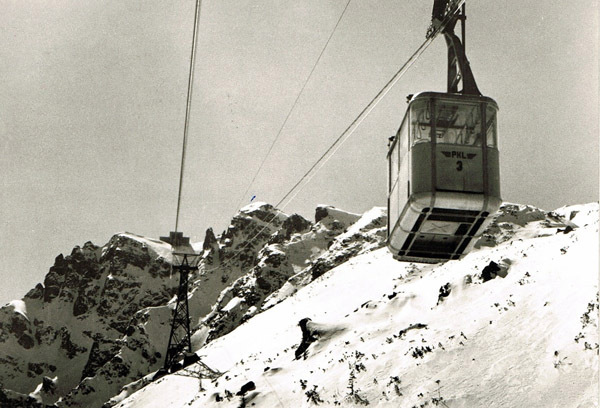 Then came a bombshell – the biggest tourism company in Slovakia, Tatra Mountain Resorts, declared its intention to buy Polish Cableways. Tatra Mountain Resorts had purchased the Slovakian cableways from the government in 2007, and built three new cableways following the Slovak government’s decision to privatise some areas. Within just a few years, the company was making annual profits of more than 12 million euros. The Slovaks met with local government and business representatives. “We want to demonstrate the projects we already have in Slovakia, and we’d like to prove that we are professionals in both relations with local government and ecologists. Poles and Slovaks need to stand together to attract customers who now head for Italy or Austria to ski,” said Bohuš Hlavatý, president of Tatra Mountain Resorts. At the same time, the six districts with Polish Cableways facilities (Zakopane, Szczawnica, Zawoja, Krynica-Zdrój, Kościelisko and Czernichów), signed a letter of intent to purchase the company. A month later, four of these six turned to Tatra Mountain Resorts for finance, in the hope that they would be able to preserve a degree of local influence after the privatisation. Zakopane and Kościelisko, however, withdrew. The rivalry between the Slovak company and Zakopane became heated, and was an issue in the local election campaign in 2011. Slogans championing the preservation of national heritage were widespread, but Zakopane’s local government gave no official reason for refusing to join the consortium of mountain towns. 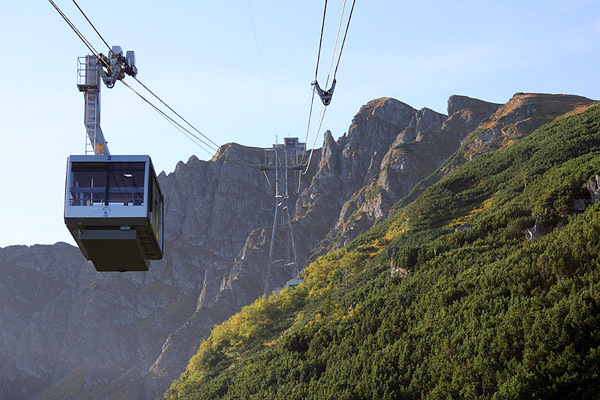 In July 2012, Zakopane’s local authorities established a company called Polish Mountain Cableways and planned to issue bonds in order to finance the purchase of Polish Cableways. In August of the same year, a new bidder appeared in the person of former Zakopane mayor, and one of the richest men in Poland, Adam Bachleda-Curuś. He was supported by local businessmen and the city council. Competitiveness between Polish and Slovak resorts began to heat up. The Slovaks declared that they would issue a ski pass for all resorts in Poland, the Czech Republic and Slovakia in the winter, and a tourist card with discounts for sightseeing in Zakopane, Wieliczka and Krakow in the summer. In return, Polish districts announced a ski pass that would be a discount card for various attractions in the region, and promised to invest in ecological programmes. In the meantime, local politicians of various hues appealed to the Minister of Transport not to sell the Mt. Kasprowy cableway. In a 2011 parliamentary debate, MPs came out against the sale, declaring Polish Cableways to be economically viable and the cableway to Mt. Kasprowy an historical and cultural public asset with special value for all Poles. MPs suggested turning Polish Cableways into a separate company, or handing it over to local authorities. After numerous protests, the Ministry of Transport decided to delay the tender by a year in January 2012, and started looking at plans to hand the company over to regional governments. In April, PKP announced that the cableway to Mt. Kasprowy would not necessarily be purchased by a single entity, since shares would be sold in batches. The whole idea of privatisation was thrown into doubt once again in November 2012 as MPs continued their objections. The right-wing Solidarna Polska Party declared Kasprowy Wierch to have as much cultural significance as Wawel Castle. “The technical and cultural resources of Polish Cableways, developed over decades, are national assets,” said Solidarna Polska MP, Arkadiusz Mularczyk, who also announced that his party was putting together a bill to block the privatisation. The privatisation procedure was even investigated by the Internal Security Agency. In October 2012, the Slovaks announced that they were withdrawing from the tender, since the date of a final decision had still not be announced. PKP appealed for patience, and promised that the whole procedure would be finalised in 2013. In December 2012, the Slovaks once again announced their intention to withdraw: “We are a serious investor with serious plans and we can’t wait forever,” said Hlavatý. The tender process officially opened in mid-December 2012, with a minimum purchase price set at just over 40 million złoty. However, numerous issues remain unresolved, such as co-ownership with the Tatra National Park, which continues to disagree with privatisation. In January 2013, twenty companies declared an interest in Polish Cableways, but only 12 were admitted to the first stage of negotiations, and only six passed to the next. Surprisingly, the Polish-Slovak consortium was not one of them. This decision disappointed the four Polish consortium districts, as they had hoped that investment from the Slovaks would enable new infrastructure to be built, attracting tourists to their regions. Quite unexpectedly, a new bidder has joined the tender process – the State Forests organisation. This scenario is, however, disliked by businesses that had been planning investments with the Slovakians. The tender process is due to close “sometime” in the first half of 2013, and analysts expect any winning bid to be in the region of 150 million złoty. There is absolutely no reason to ski the Polish side of the Tatra montains, the Slovak side is much much better. The runs are nicer, and the resorts are much much better. Don’t waste your time in Poland – go to Slovakia!! Bigos all day!! There is absolutely no reason to ski the the Tatra montains, the Alps much much better. The runs are nicer, and the resorts are much much better. Don’t waste your time in Poland $ Slovakia!! Go to Austria or Italy !! !